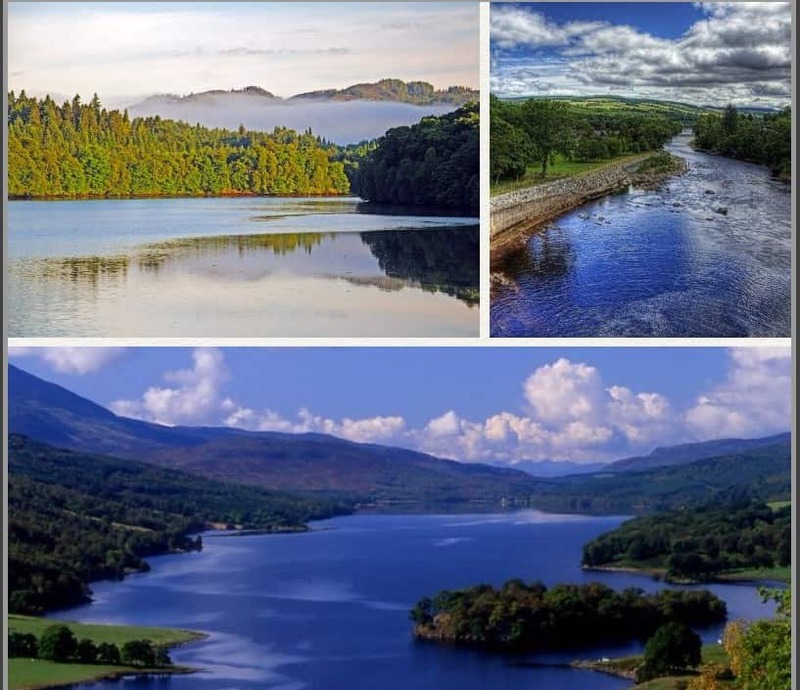 With its central location, Pitlochry is perfect for Scotland vacations with a huge range of places to visit, radiating from the town as a residential base. The town, itself, offers many days of interesting activity and a beautiful landscape to enjoy at leisure – The perfect place for a holiday in Scotland! Rosemount is situated close to the town centre, in a slightly elevated location enjoying beautiful views over the Tummel Valley. We offer some highly attractive holiday deals across four grades of room. We are located a few minutes from the heart of Pitlochry Town Centre. 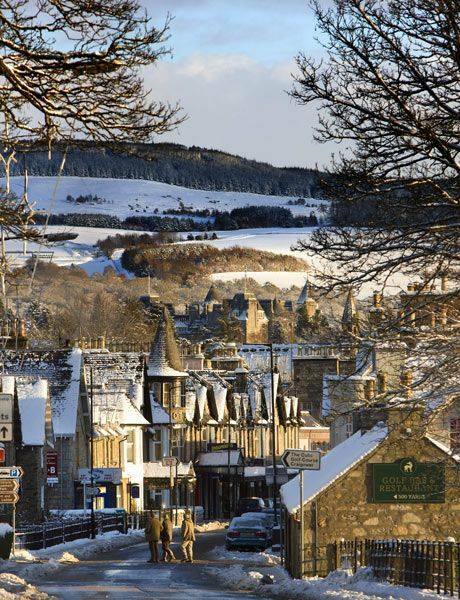 One of the many benefits of Pitlochry as a Scotland vacation destination is its central location. How comforting not to have to seek out a new place to stay each evening on a tour of Scotland. Instead, it is advisable to find one place where you feel at home and to take advantage of day trips, radiating around the compass and covering the most fabulous scenery and places of interest. We strongly recommend you investigate Rosemount Hotel Pitlochry from this point of view. Rosemount Hotel is ideally located within the town of Pitlochry. It is not quite in the very centre, making us a peaceful proposition for guests who prefer to stay away from the noise of town centres. We focus on presenting our guests with warm, sincerely friendly service in a cosy, comfortable, clean environment. Our Lounges are welcoming and nicely appointed. Our menu offers good variety with freshly prepared meals. We welcome pet owners with open arms and have dedicated areas within the hotel where they may enjoy a meal with their pet at their feet. Please take a quick look at the rooms available at Rosemount Hotel Pitlochry. 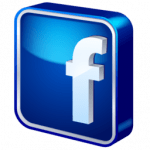 We have four grades of room suited to most budgets. The price of each room matches its amenity, size and its share of the stunning views that surround us in every direction. There are large Junior Suites and Family rooms which are ideal for holidays in Scotland with the kids. 50%of all rooms categories are dog friendly and our pet friendly facilities are second to none. Rosemount Hotel is located within sight of Pitlochry Festival Theatre, quite close to the centre of town and the outdoor activity centres of Perthshire. The surrounding scenery is frankly quite stunning, making us an ideal base for walking holidays with varying degrees of challenge – with or without the dog! This is a great choice amongst Hotels Pitlochry Perthshire, so it’s worth spending some moments browsing through our entire site. Within the town centre are independent shops, delightful cafes, quality gift outlets and galleries. A short walk beyond the High Street takes the visitor to Pitlochry Dam – a magnificent hydro electricity generator and vantage point from which to view some stunning local scenery. Walking over the dam and along the river takes you past the Festival Theatre . This is a fabulous facility for enjoying high quality stage productions and is a must-do on any list whilst visiting the area. Walking past the Theatre, there is a choice of taking the route over the swing bridge back to the town, or walking further along the road to Blair Athol distillery. 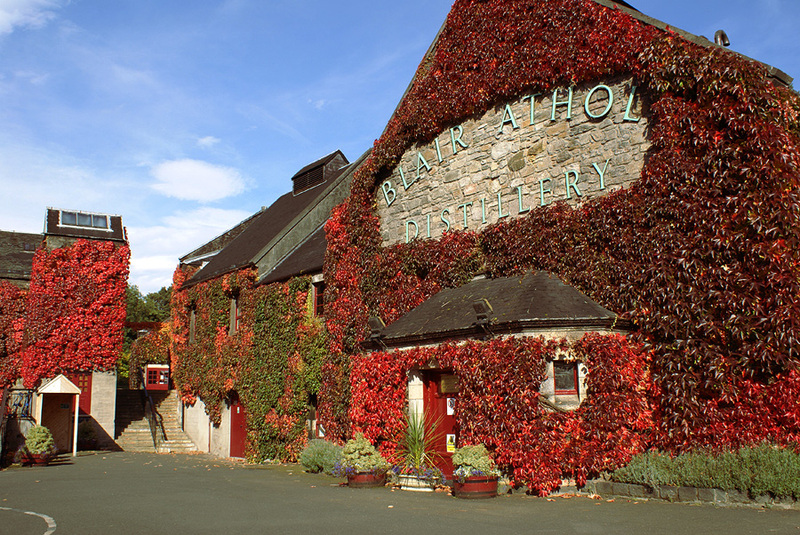 This fabulous, characterful place is the home of Bells whisky and the fine Blair Athol malt whisky. There are a good number of walks through the gorgeous countryside that blesses Pitlochry in all directions. We have a useful publication on sale for £1 at Reception. This highlights 40 miles of way-marked paths and trails. Sometimes its nice to just don the walking gear and get out into the fresh air and feed your senses with fabulous scenery and the sights and sounds of nature. It’s free, but its value is way up the scale.